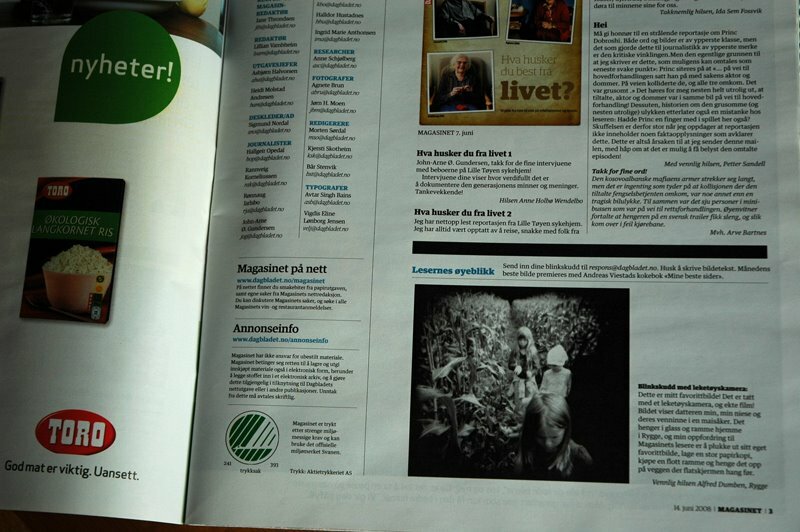 Here`s the print that got published in Dagbladet last saturday. They didn`t exactly beg me to work for them, but the lady I talked to said she liked the photograph, and that she was impressed by the fact that it was taken with a toy camera. I don`t know how many papers they sold that day, but the two biggest newspapers in Norway are known for creative counting, so my guess is close to one million readers. Not bad at all! Congratlations... how are hou doing?